The holiday season can be messy. In my house we bake, craft, decorate and play all month long and I find myself cleaning ingredients, glitter and so much more from my floors each night. I don’t let the mess hold me back from enjoying the holiday seaon. It took some time but I found a new go to product to help with holiday cleaning. 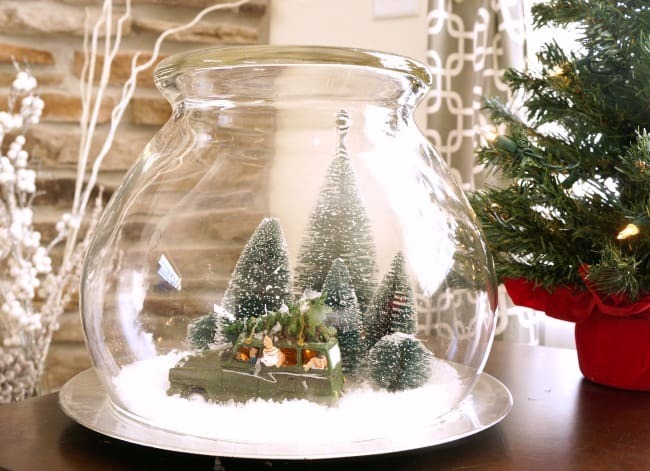 Check out my favorite holiday projects and enter to win a 2 in 1 stick vacuum from BLACK+DECKER. Here are my top holiday craft projects, all of which resulted in a big mess, along with a beautiful finished project. I hope these inspire you to be creative this holiday season. Involve your kids and don’t let the possibility of a mess hold you and your creativity back. Vintage Christmas Scene using a punch bowl and simple holiday decorations. 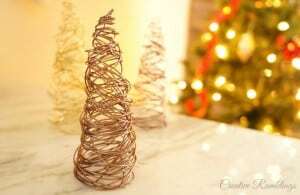 Wire cone trees using a variety of craft wire and a cone form. 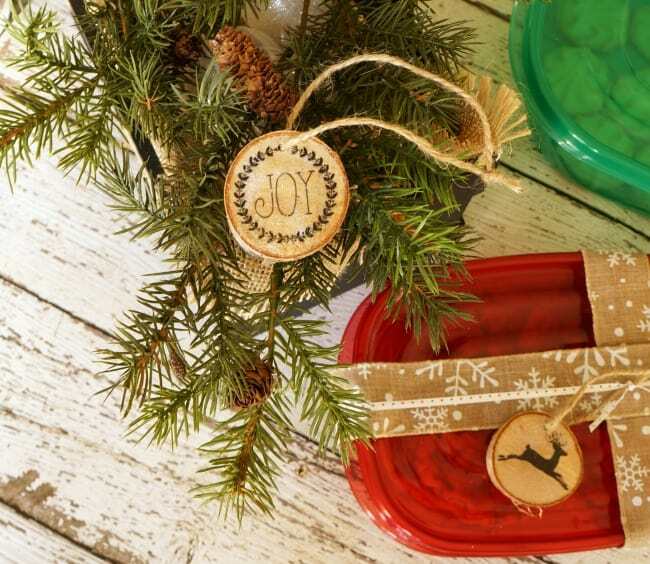 Wood gift tags and ornaments. These make great additions to Christmas presents. 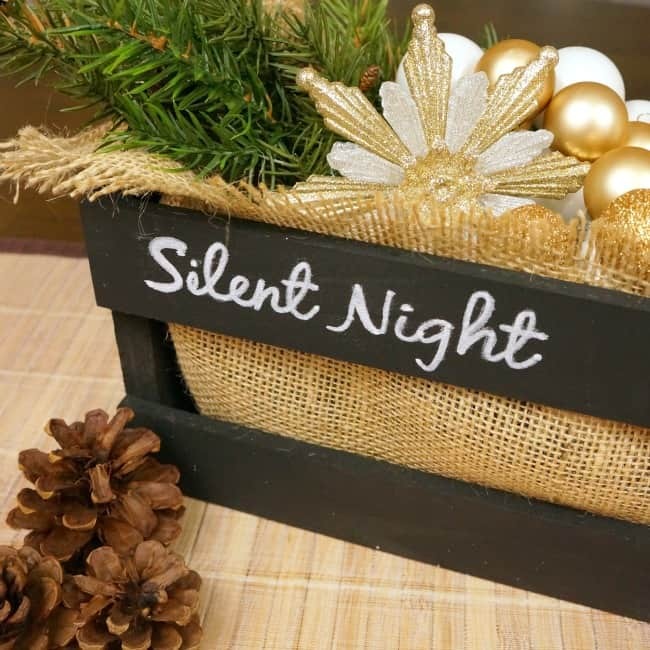 Chalkboard Christmas Crate filled with ornaments and greenery. 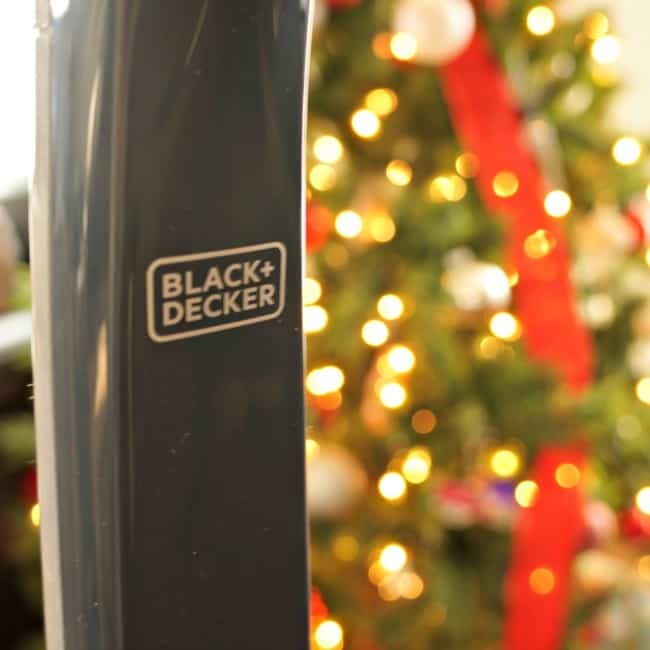 I have simplified my holiday cleaning with this BLACK+DECKER 2 in 1 stick vacuum. I love that this product is light weight and doubles as a hand vac. It’s battery powered too so moving around my house and under furniture is so easy. Want to win your own? 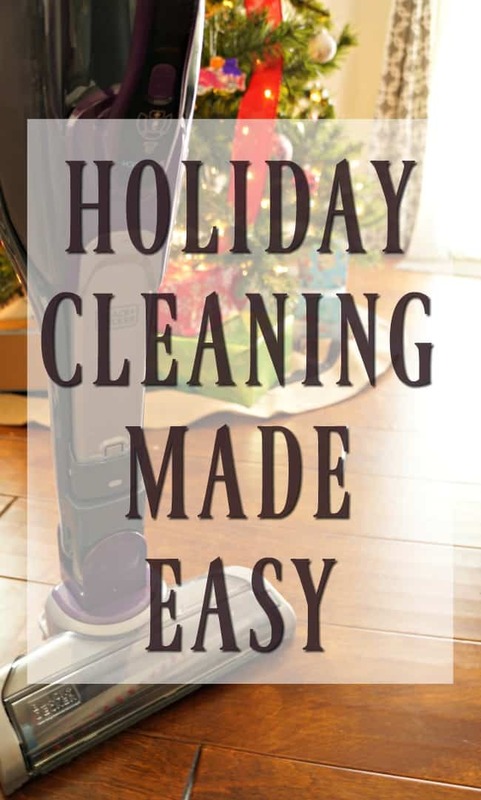 Learn more about this vacuum then come back and tell me how you would use it this holiday season. BLACK+DECKER is giving one away to a randomly selected commenter. Giveaway is open to US residents 18 years or older. Winners will be notified after January 4, 2017. For more holiday inspiration and great gift ideas check out the BLACK+DECKER holiday gift guide. Happy Holidays, thanks for visiting! I love this Black And Decker 2 in 1 stick. Its perfect for me as keep house clean before and after Christmas get together lunch and its such lightweight for me as I can’t push regular vac as too heavy!! Yes, love that it’s light weight! So easy to use. To clean up all those sprinkles after letting the littles help decorate XMas cookies!!! OMG!! I would love to have a Black & Decker 2-in-1 Stick Vacuum! I love how it automatically adjusts when going from carpet to bare floor surface. Love the portability of this vacuum! Would use it everywhere.at.the house following my kids around to clean up after them! I would use it to clean up the glitter on every surface in my house! I would be using it to clean up the sprinkles and colored sugars after the kids decorate Christmas cookies. I would also use it to clean up the glitter that I am sure will be all over the place this weekend after I let the kids make Christmas ornaments to give as presents to family members. My granddaughters love to bake Christmas cookies with me (aka Nana). But they get alitte too excited..then there’s flour and sprinkles flying everywhere! The vac for my hardwood floors, the hand vac for the ulpostery on the chairs! I’d love this vac!! I took mine in the car yesterday and it sucked up all the crumbs! So nice to see my floor mats again. I love how light and compact this vacuum stick is! I would use it to clean up all the Christmas glitter! I’d finally be able to remove the tons of dust on all my curtains and blinds. I would use to clean up all the needles that keep dropping off our tree. Drives me bonkers! Since we eat the great majority of our meals at home I am constantly vacuuming the prep area in the kitchen. This would come in so handy!